One of our best selling Alarms due to its small size and ear piercing 140db siren. Finished in an ultra trendy Metallic Purple. 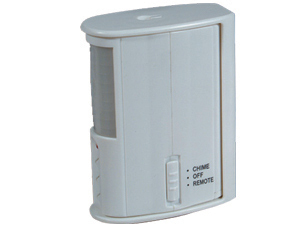 Unlike many Key-ring Alarms this model has a separate Alarm cord to the Key-ring which avoids false activation. This Minder Range are Secured by Design Approved (Police Preferred Specification) and have also been independently tested by Sold Secure, receiving the Gold Award. 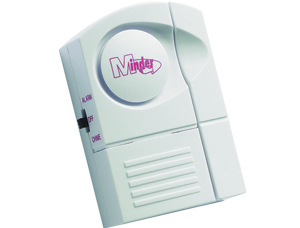 Our Minder range have 6 different personal alarms with these accreditations. You will not find any other brand of Personal Alarm with this level of endorsement. Be assured that when you buy a 'MINDER' you are choosing a product with the highest standards. 'RELY ON THE BEST'. OUR POLICE PREFERRED PERSONAL ALARMS HAVE A SEPARATE KEYRING TO THE ACTIVATION PIN. SO UNLIKE OUR COMPETITORS (WHO RECOMMEND THROWING THE ALARM TO THE FLOOR IN AN EMERGENCY!!!!) WITH OUR ALARM YOU CAN SIMPLY THROW THE PIN AWAY. KEEPING THE ALARM AND YOUR KEYS ON YOUR PERSON. FALSE ACTIVATION WHICH MAY DISCOURAGE PEOPLE TO CARRY AN ALARM. Introducing the latest must have security product which has a multitude of uses. The Minder Bell Accessory is a pair of trendy bells with an easy to fix lobster clip. The Bell Accessories come in 10 ultra cool colours to suit all ages and demographics. The Bell Accessories are in the following colours. 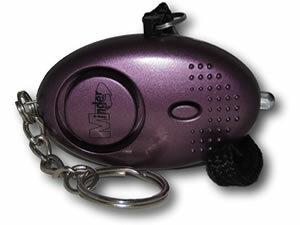 Minder Bell Accessories can be attached to Purses, Wallets, Handbags, Mobile Phones and any personal belongings. Should anyone attempt to lift the item, the bells will jingle to alert the owner to a potential theft. Minder Bell Accessories are also very popular amongst young people and children and are a great stocking filler. Whilst they are fantastic to hand out to the elderly. The perfect product for all ages. 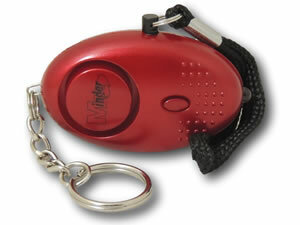 Please watch and share our video for Minder Bell Accessories. One of our best selling Alarms due to its small size and ear piercing 140db siren. Finished in an ultra trendy Metallic Red. Unlike many Key-ring Alarms this model has a separate Alarm cord to the Key-ring which avoids false activation. OUR POLICE PREFERRED ALARMS HAVE A SEPARATE KEYRING TO THE ACTIVATION PIN. SO UNLIKE OUR COMPETITORS (WHO RECOMMEND THROWING THE ALARM TO THE FLOOR IN AN EMERGENCY!!!!) WITH OUR ALARM YOU CAN SIMPLY THROW THE PIN AWAY. KEEPING THE ALARM AND YOUR KEYS ON YOUR PERSON. Introducing the latest Hi-Vis product which is set to replace old fashioned Hi Vis vests and clothing as the number one Road Safety Product. Activ Reflectors come in 4 different colours (Yellow, Orange, Red and Purple) and include a reflective strip to make sure you can "Be safe and Be seen". - VERSATILE: High visibility for any outdoor activity such as running, cycling, walking and horseriding. Perfect for school children and parents with toddlers. Also ideal as an addition to safety gear for traffic/construction workers. 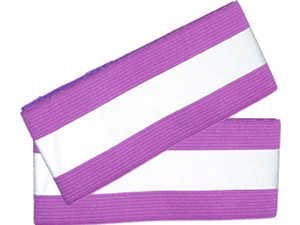 - EASY TO USE: Features a strong Velcro. Perfect fit for most ankles or arms, but can also be wrapped around wrists, legs, bike wheels, dog's attire & more. - COMFORTABLE FIT: Stays in place and won't interfere with body movement. Elastic and lightweight for an easy fit over outdoor clothing etc. Introducing the latest must have Personal Attack Alarm ideal for the younger generation but suitable for all ages. 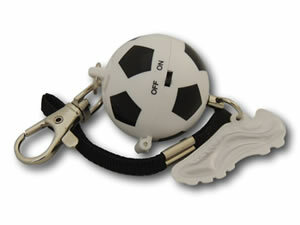 The Minder Sports Ball Alarm is designed in 4 different Sports. Football, Tennis, Basketball and Baseball. Fitted with an easily attached G-Clip, the alarm can be clipped to any Bag, Rucksack, Handbag or Clothing. It has a separate pull pin activation which sets off a 125 siren. Most importantly with the addition of the Alarms On/Off switch the Minder Sports Ball Alarm can be switched off when not required. This could be when in School, College or Work. Therefore avoiding any embarrassing false activation at all times. Also ideal as an anti bullying device. A person is most likely to be attacked at night while walking to or from their car or home. This compact alarm easily attaches to your keys or clips to your purse or clothing so its always within reach. The clip makes it ideal for Nurses and Care Staff to easily attach to a top pocket etc. Many conventional personal alarms are difficult to use in a panic situation. This Panic Alarm features fast and simple "Squeeze and Scare" operation that allows you to quickly activate the alarm at the same time you grab the unit. The LED Light is bright and powerful which will shine a light at an attacker or light the way for you to make an exit. Also because this alarm has no pull cords or straps it makes the unit more appealing to NHS workers, the medical profession and care staff. Simply use an anti bacterial wipe and the alarm is instantly clean. A new product which ensures cyclists are well seen by motorists. 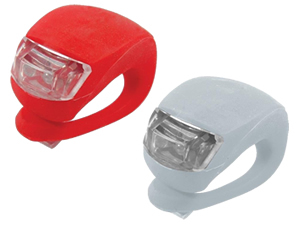 This super bright, water resistant LED light set is the best selling Bike Light available today. Supplied as a set with 1 red and 1 white unit, the flexible silicone band is ideal for attaching to bikes, bags, helmets etc. Many women do not carry Personal Alarms because they are either too bulky or not aesthetically appealing. Therefore we have introduced the new Minder Accessorise Alarm. 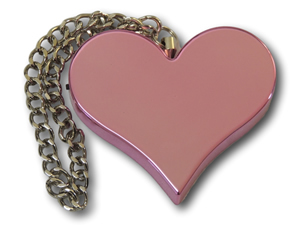 The Accessorise Alarm is designed as a small Metallic Heart Trinket which attaches to Handbags with its tiny G-Clip. The Accessorise Alarm has the practical feature of an ON/OFF switch so the Alarm can be switched off when necessary (At work, college etc). It also features a captive pin so the Alarm can be activated to set off its 125db siren and the pin is easily replaced to be deactivated. Available in 5 stylish Metallic colours. Black, Gold, Pink, Red and Silver. 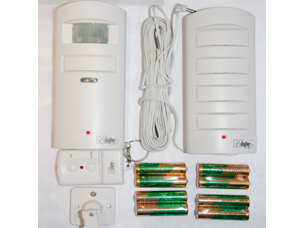 The Multi Buy MA30 Mini PIR and External Siren comprises of the MA30 Mini PIR alarm with Remote Control, together, with the ES15 external siren. Both products emit a 130dB siren when the PIR is activated. The above products are suitable for Garden Shed, Garage and Out building Security. * External siren supplied with 10 metres of anti tamper cable. 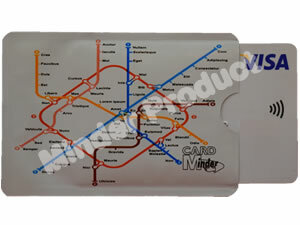 Following the enormous success of the Card Minder, gaining national media coverage and global sales. We have now introduced 12 Stylish versions to cater for everyones specific style. In recent times with the introduction of contactless payment, thieves are adapting to come up with new methods to steal your personal data and information. On most new credit or debit cards you will have a wireless symbol which informs you that your card uses RFID technology, this allows you to simply swipe your card at designated machines to make a payment. This is a much easier way of paying, however it comes with security risks, as a criminal could create a RFID reader with minimal effort and steal your details. There are also possibilities of wireless transactions being completed accidentally or duplicated. You can prevent most of these things happening however with the Card Minder - the aluminum credit card pouch can fit inside your wallet/purse and can prevent your data from being stolen. Furthermore the Card Minder could prevent two contactless cards in the same wallet/purse being billed simultaneously. Ideal to place in any wallet or purse. Includes RFID blocking technology to prevent unauthorized access to personal information. Fits easily in wallet card slot or in a purse. Low cost for mass distribution. Suitable for a range of cards. 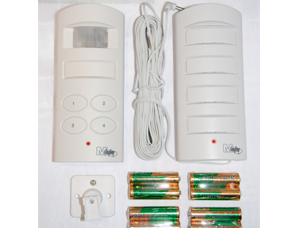 The Minder Sensor Alarm is the perfect product to guard your door/entrance. The Sensor Alarm has a 60 degree spread which protects for 15 feet so it can be positioned by a front/back door and has a choice of a high decibel alarm or chime mode, so this means if a door is left open or ajar, the unit will still alert to anyone passing through. 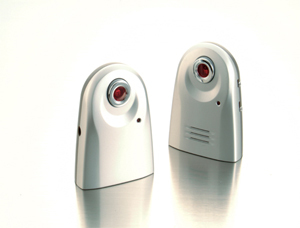 The Sensor Alarm is so versatile as it can also be used as a garage or garden shed alarm and has many applications for the care of the elderly or security of the young. In addition, the 270 degree adjustable bracket can angle this PIR sensor in almost any direction required.